Mansfield Cosmetic Surgery Center provides Co2 laser skin resurfacing using the Ellman Matrix Fractional system. 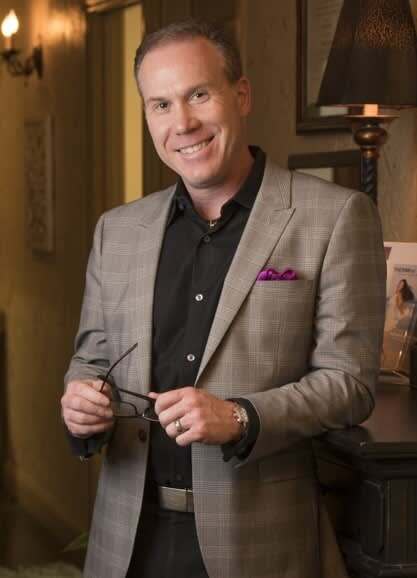 Dr. Michael L. Thornton performs all Fractional CO2 Laser Skin Resurfacing procedures for clients in order to reduce or improve smoker lines, wrinkles, skin discoloration, and acne scars. Similar to Fraxel laser treatments the Co2 laser penetrates your epidermis and dermis with energy to a specified depth using a specified energy (watts) in a fractional pattern. During your consultation, Dr. Thornton will personally discuss your laser resurfacing options and determine if your are an acceptable candidate laser skin resurfacing. Although well qualified, we choose not use patient coordinators, nurse practitioners, or physicians assistants to perform your consultation or perform your treatment. If your skin is showing signs of aging or sun damage with wrinkles, “smoker lines”, chicken pox scars, acne scars, blotchy skin, freckles, or brown spots then you may be considered a candidate for fractional CO2 laser skin resurfacing. However, one disadvantage to using Co2 laser is that we can not safely use on dark-skinned clients. Therefore, Dr. Thornton will need to either use other advanced technologies or consider using our Erbium laser system that can be safely used on darker-skin types (African-American, Asia, Latino). The Ellman Fractional CO2 and Erbium laser platforms are designed in such a way that Dr. Thornton has precise control over the intensity and depth of the treatment, thus reducing tissue injury and speeding the healing process. What does a Co2 laser skin resurfacing treatment feel like? Treatment sensations vary from person to person. During the procedure, tiny pulses of laser energy are delivered to the skin and you may experience a warm sharp feeling. However, Dr. Thornton reduces your discomfort by applying topical anesthesia cream, performing local nerve blocks, or prescribing oral sedation medication prior to the procedure. How many Co2 laser skin resurfacing are required? Results vary with each patient and most patients are satisfied following a single treatment, but in some cases a series of treatments may be required to achieve desired results. Repeat treatments are usually spaced between 3-4 months. How long do the results last following Co2 laser skin resurfacing? This varies from person to person. However, if you take steps to protect your freshly rejuvenated skin, including the use of sunscreen, facial cleansers and prescription skin care, your results may last several years. What is the expected down time following Co2 laser skin resurfacing? Typically you will need approximately one week or more to complete the healing process following Co2 laser skin resurfacing. It is normal for your skin to peel (like a sunburn) and slough off the top layers of skin. The swelling and peeling will peak at 4-5 days then slowly improve and being to look normal within a week. Your skin will remain pink for several weeks to months following treatment. Results will vary from patient to patient.